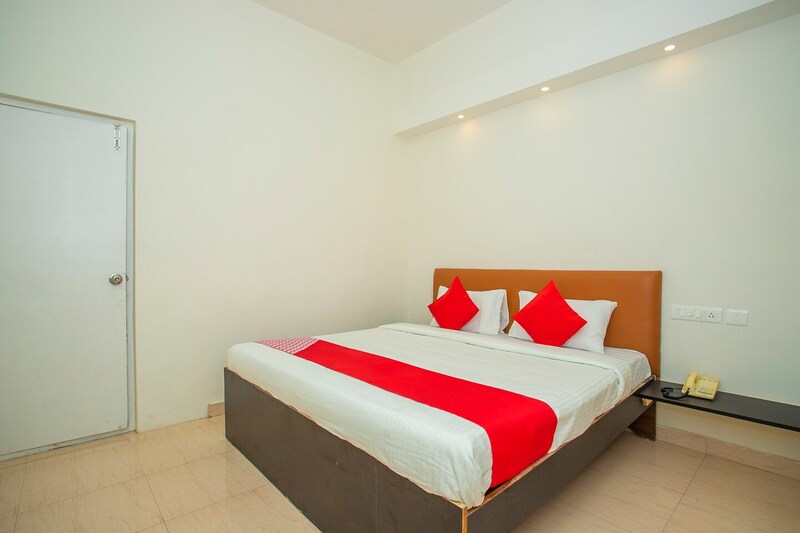 The Amm Residency hotel is located in one of the busiest areas of Bangalore, and offers a comfortable and relaxing stay. The rooms are elegantly furnished with light coloured walls, false ceilings and spotlights. The hotel offers complimentary Wifi connectivity, parking facility and also has a CCTV camera setup for the security of the guests. Card payment is accepted at the hotel. Several restaurants and shops are located close to the hotel and the Lalbagh Botanical Garden is also nearby.